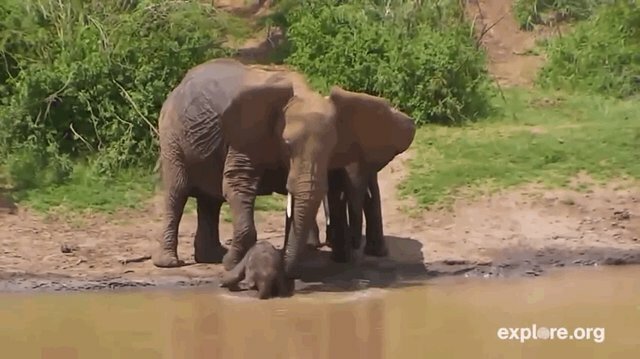 When learning to use one's trunk to siphon water into one's mouth, an elephant faces a seemingly insurmountable obstacle. 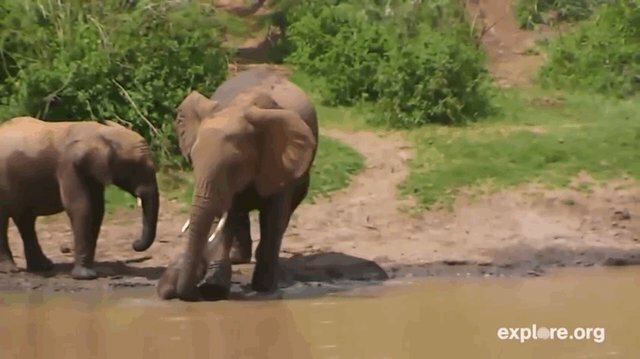 An adult elephant's trunk can draw up to two gallons of water at one time, and can be used to transfer the water into his mouth to drink. The trunk also serves many other purposes - to hose the animal off with water and as a tool for smelling, touching, grasping and breathing. For this calf, there's just one function right now - blowing bubbles. It's clear for this baby elephant, captured on Explore.org's live-cam in Kenya, that those abilities are still in progress. 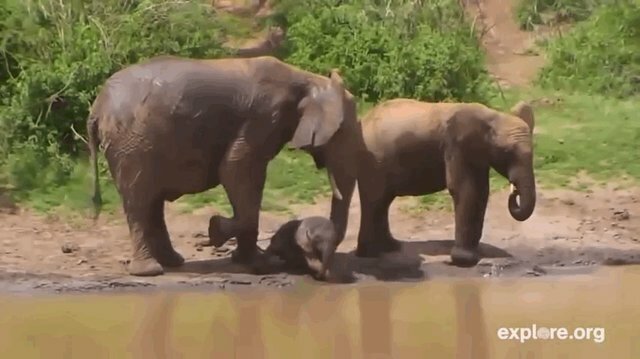 But luckily, mom is there to help.